Is your child’s schoolbag providing adequate support for your child? Take the time to check, and switch to a more suitable one if necessary. It could help save your child’s posture. Your children have been in school for about two weeks now. How are they coping so far? Are they complaining about heavy schoolbags and tired backs? This is the time to evaluate whether your child’s schoolbag is working out for them. If it is, great! If not, it’s not too early (or too late) to switch to a more suitable one. You have to balance price, design, and your child’s preference, and most importantly, the ergonomics of the bag. And here’s the biggie you definitely need to consider: Does the bag provide adequate support for my child and the weight of the bag? Bear in mind that a bag that seems comfortable in the store may feel entirely different when your child’s books and belongings are in it. What’s the right number? 5%? 10%? 25%? To put this in perspective, even fit adults who use backpacks for fitness walking are advised to carry no more than 10 to 20 per cent of their body weight. While there is no common consensus on the recommended weight of a bag, most professional groups recommend not going above 15 to 20 per cent of the child’s body weight. Studies performed on adults show that heavy backpacks increase postural sway even in fit adults, increasing the likelihood of falls and injury.3 Your child may be carrying such loads daily, during their years of musculoskeletal development. Hence, like their clothing and shoes, your child’s backpack should be of a suitable fit and sizing for them. 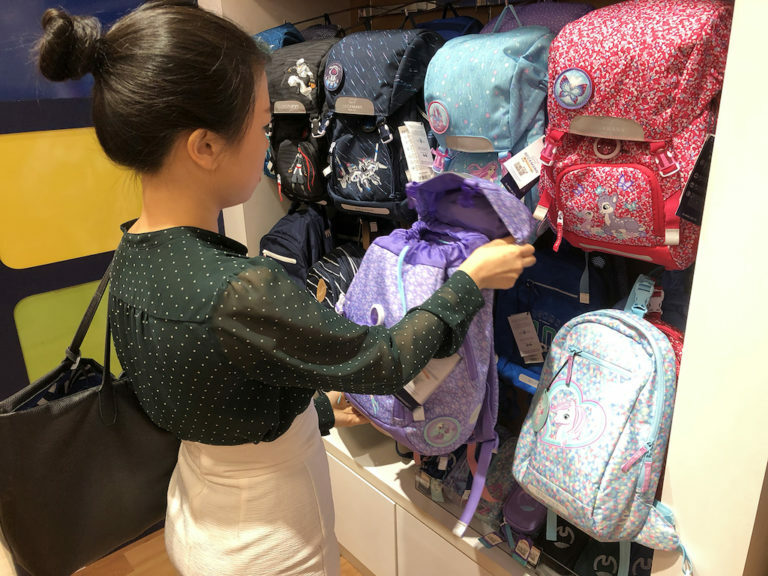 So follow these tips to choose the right bag for your child. ✔ It should be no longer than your child’s spine, and the bottom should not hang below the waist. ✔ Look out for broad shoulder straps. These help to spread out the weight of the bag across the shoulders, preventing the straps from cutting deeply into the shoulders. ✔ The bag should sit firmly against their body to prevent it from swinging around excessively. This puts extra weight and stress on your child’s body. ✔ Chest and waist straps can be useful to secure the bag as well as provide extra support for heavier bags. ✔ When choosing a backpack at the store, bring some of the school materials that your child will be using. Ask if your child can test the bag with the items loaded inside, but make sure the items are clean. While having a large backpack may seem helpful as it allows your child to bring more items to school, this is a bad idea for several reasons. Large bags encourage overloading, causing your child to overpack their bags rather than packing them efficiently. The larger volume also allows for the items to move freely, causing the weight to shift during movement. This increases discomfort and the likelihood of injury. Why would my child’s feet hurt because of their backpack? Experts in musculoskeletal disorders and sports medicine understand that pain is often caused by a combination of factors. The weight of the backpack is not the only factor contributing to painful feet. Like dominoes, one problem can lead to or worsen other issues. With a poorly-fitted backpack, children often adopt a posture that causes their pelvis to tilt and their knees to overextend, leading to excessive strain on certain muscles. To compensate for the discomfort, they also change the way they stand and walk in order to account for the differences in centre of gravity, postural sway, and gait pattern. This compensation puts further stress on the soft issue of the feet and ankles, leading to increased fatigue and pain. • Teach your child to use their bag correctly. This includes bending at the knees to pick up the backpack, learning to adjusting the straps on their own, and packing the heaviest items at the bottom of the bag. • Go over the contents to ensure that your children are not bringing excessive items to school, and teach them to bring only the things that they need. It is important to remind them to avoid carrying the backpack on only one shoulder. If your child continues to experience pain and discomfort, see a healthcare professional, like a podiatrist. 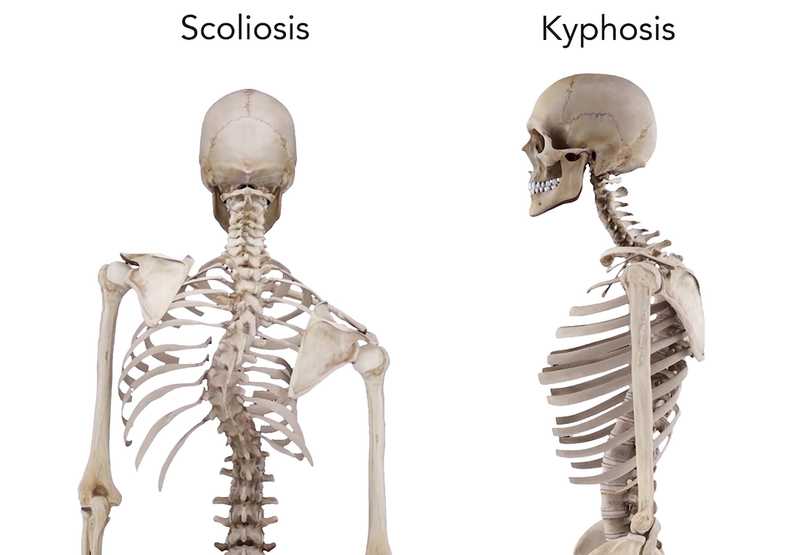 They have a clear understanding of the body’s musculoskeletal system in motion, particularly how each joint influences and affects its neighbours, from the neck down to the feet, and can help your child feel better again. Podiatrists Ari Tria and Louis Loy are members of East Coast Podiatry, Asia’s leading Podiatry Practice, specialising in the treatment of postural, walking and lower limb issues in children.